HomeWhat is the Sasquatch Connection to the Young Earth? What is the Sasquatch Connection to the Young Earth? But wait, is this so unrealistic? Perhaps not! 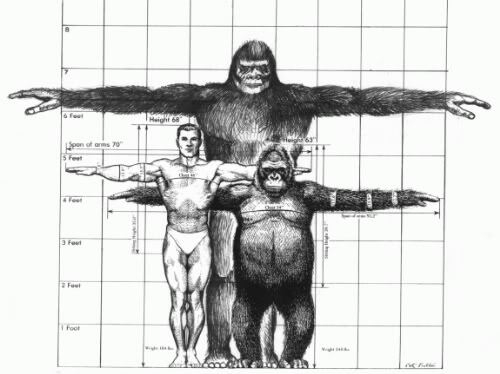 A gigantic ape standing 10 feet tall and weighing up to 1,200 pounds lived alongside humans for over a million years, according to a new study. Fortunately for the early humans, the huge primate’s diet consisted mainly of bamboo. Scientists have known about Gigantopithecus blackii since the accidental discovery of some of its teeth on sale in a Hong Kong pharmacy about 80 years ago. While the idea of a giant ape piqued the interest of scientists – and bigfoot hunters – around the world, it was unclear how long ago this beast went extinct. As time past on, and these creatures went extinct, ( or have they? ) and the stories got more colourful and morphed into our Yeti, Bigfoot and Sasquatch legends. As Genesis asserts, man was created with all the animals so it makes sense we SAW all the animals, and this is why we have legends of “dragons” and “bigfoot”! 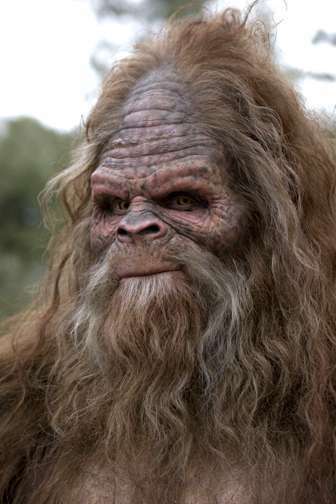 Since we have so many living fossils alive today, it may just be that some of these “bigfoot” sightings are in fact, a REAL living Gigantopithecus blackii !